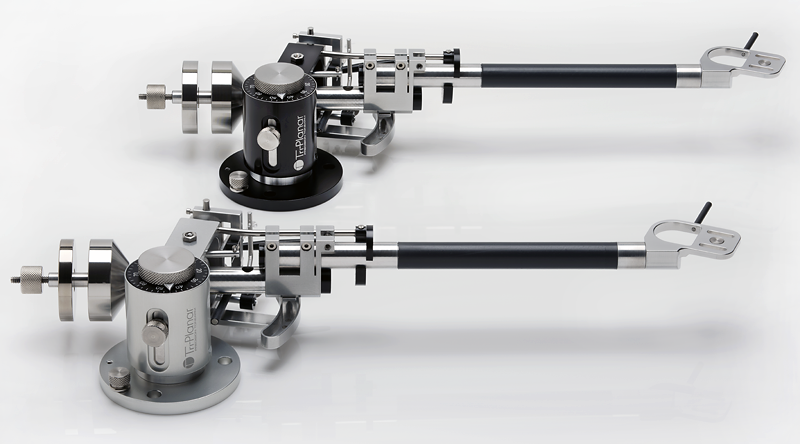 Tri-Planar's first new tonearm design in over 40 years, the Tri-Planar U12 tonearm offers improved resolution, detail, dynamic range and provides a 27% angular error reduction over similar 9″ tonearms (17% over 10" tonearms). The 12" U12 has the same effective mass as the 9" and 10" versions of the tonearm, making it a drop-in replacement for those 'arms and the cartridges used with them. The Tri-Planar U-10 Mk. 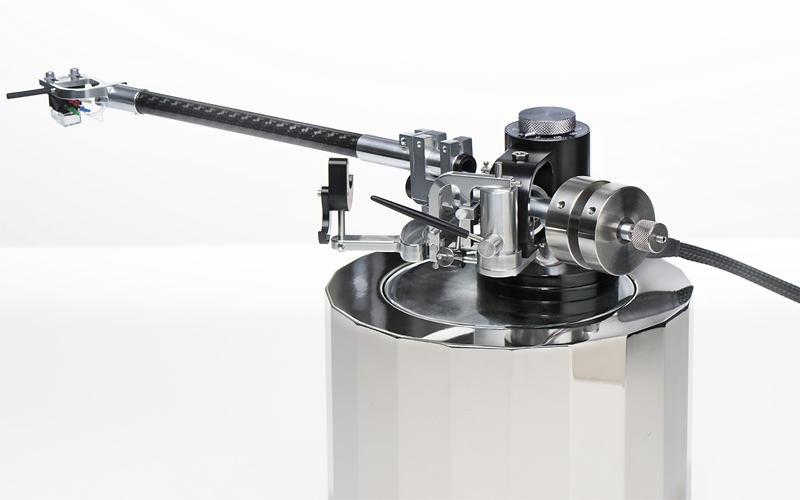 VII is the most versatile, sensitive and precise 10" tonearm there is. Over 30 years in research and design, (the brainchild of watchmaker & music lover Herb Papier) the Tri-Planar Mk. 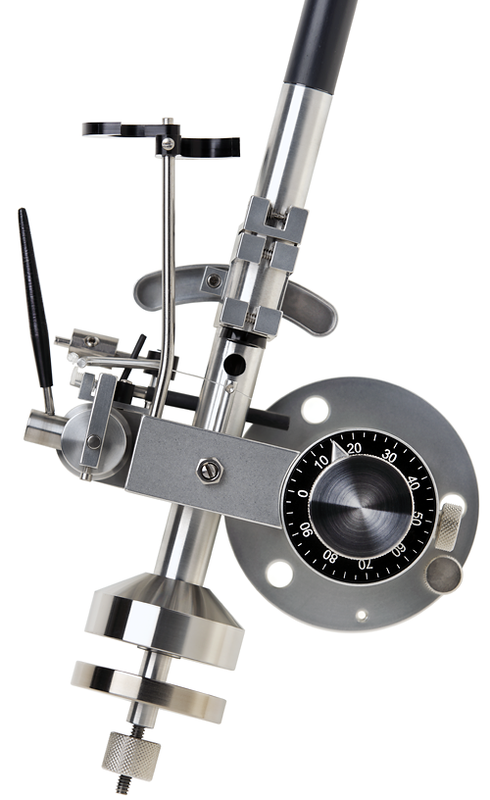 VII tonearm has a unique dual-pivot design that offers maximum adjustability and watch-like precision upon all three planes of geometry: 1. Adjustable azimuth 2. Adjustable vertical tracking angle and 3. Vertical bearing at record height. The unique dual-pivot design of the Tri-Planar Mk. 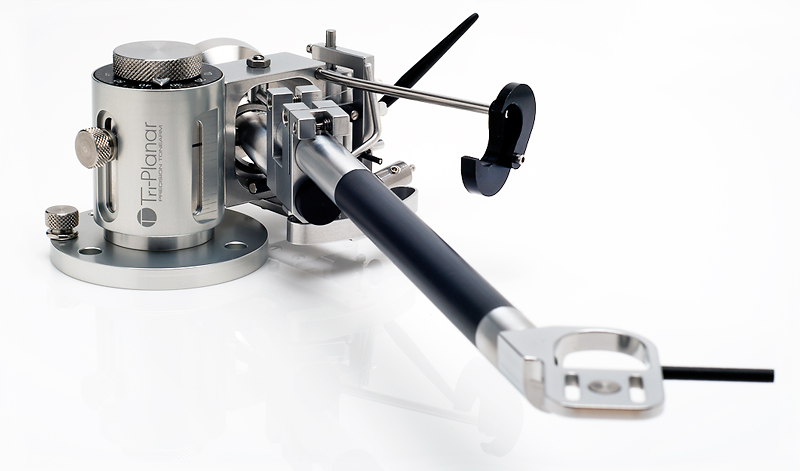 VII tonearm provides unrivaled tracking, transparency, and resolution. The arm creates a musical sound stage unmatched by any other. It has been described as powerful and dynamic, solid yet expressive, delicate and tactile. The outstanding quality of this arm, commented on time and again, is that it is invisible, lacking the colorations that plague so many of its competitors. Schedule a listening session now.